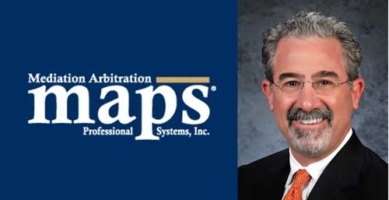 Justin Garon has become certified as a mediator through Mediation and Arbitration Professionals Systems, Inc. (MAPS), mediating cases throughout Louisiana. Mr. Garon has a diverse legal background which enables him to mediate cases in the following areas of law: personal injury, commercial litigation, and domestic litigation. Mediations can be scheduled by contacting MAPS (1-800-443-7351).